The Tale of Peter Rabbit is a classic children’s tale which was written and illustrated by Beatrix Potter. First published privately in 1901, it is one of the best-selling books of all time. It tells the story of a mischievous rabbit who likes to eat the vegetables in Mr McGregor’s garden. He is chased by Mr McGregor but manages to escape and return home safely to his mother. Beatrix Potter, who was a native of England, was the author and illustrator of over 20 children’s books starring such characters as Peter Rabbit, Jemima Puddle-Duck, and Benjamin Bunny. Potter was also a successful farmer, conservationist and natural scientist. She left much of her land holdings to the National Trust, part of which now constitutes the Lake District National Park in England. The Tale of Peter Rabbit, a classic children’s tale which was written and illustrated by Beatrix Potter, was first published in the year 1901 On This Day. The first motor rally race in Ireland was held in 1901. The race was sponsored by the Irish Automobile Club. The Irish Automobile Club, which had been established in January 1901, became the Royal Irish Automobile Club (RIAC) after World War I.
Twelve automobiles took part in the first rally. It was held in stages from Dublin to Waterford. Other rallies followed but the sport did not become popular until after World War II. Today motor rallies are common worldwide. Ireland’s first motor rally race from Dublin to Waterford, was held in the year 1901 On This Day. Brendan Bracken was a native of County Tipperary, Ireland. He became the right hand man of British Prime Minister, Winston Churchill from the mid 1920’s onwards. He strongly supported Churchill during World War II. He served as Minister of Information from 1941 to 1945. Brendan Rendall Bracken was born in Templemore Co Tipperary in 1901. 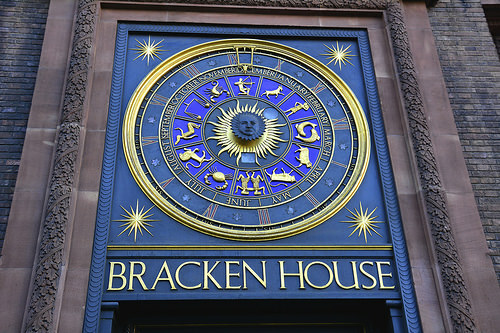 His father, J K Bracken was a stonemason. He was a member of the Irish Republican Brotherhood and one of the seven founding members of the Gaelic Athletic Association. Bracken’s father died when he was three and his mother Hannah moved the family to Dublin. Brendan attended St Patrick’s National School in Drumcondra. In 1910 at the age of 9 he was transferred to O’Connell School, Richmond Street near Dublin City centre. In 1915, because of his misbehaviour, Bracken’s mother sent him as a boarder to the Jesuit school, Mungret College which is 3 miles west of Limerick City. Bracken ran away from Mungret and his mother sent him to live with a cousin who was a priest in Echuca, Victoria, Australia. He returned to Ireland in 1919 having spent the previous three years travelling and educating himself. After a short period attending Sedbergh Public school Bracken got a job as a journalist in London. He joined the Conservative Party and assisted Churchill in the election of 1923. He became a newspaper editor, successful publisher and founder of the Financial Times. He was elected an MP in 1929. A loyal supporter of Churchill, Bracken supported his calls for rearmament to counter the rising threat of Nazism. During World War II, in 1941, Churchill appointed Bracken to the post of Minister of Information and a member of the Privy Council despite the objections of King George VI. Following the War he was appointed Lord of the Admiralty until he lost his seat in Parliament in 1945. He returned to his publishing business but was re-elected in 1951 and was offered a cabinet post by Churchill. Because of failing health he declined the offer. He resigned from politics, but was elevated to the peerage as Viscount Bracken. He died at the age of 58 on 8th of August 1957. Brendan Bracken, right hand man of British Prime Minister, Winston Churchill from the mid 1920’s onwards, was born in Templemore, County Tipperary in the year 1901 On This Day. Disney families lived for generations in Ireland in both counties Carlow and Kilkenny. Some of the families emigrated to America. Arundel Elias Disney was born in the townland of Clone near Freshford, Co Kilkenny in 1801. 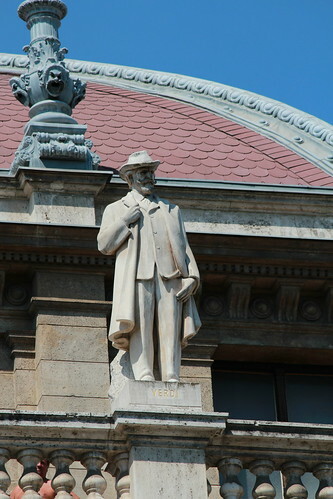 He emigrated to north America with members of his family in 1834. The family settled initially in Canada but later moved to the United States. The great-grandson of Arundel Elias Disney was Walt Disney. He was a cartoonist and filmmaker who also became a successful businessman. Walter Elias Disney was born in Chicago, Illinois in 1901. He did not attend school until he was eight years old. He attended McKinley High School in Chicago but dropped out at the age of 16 to join the army during World War 1. He was rejected because he was underage. He joined the Red Cross and was sent to France where he drove an ambulance. He decorated the ambulance with his own cartoons. In 1919 Disney returned to America and began working as a newspaper artist in Kansas City. He moved on to making animated commercials and from that to making short animated films. In October 1923 Disney moved with his brother Roy to Hollywood, California where they established Disney Brothers’ Studio. They produced animated films which were successful but lost the rights to the characters they had created to Universal studios. At the age of 27 Disney created the first Mickey Mouse cartoon. The first two cartoons were not a success. However the third Mickey Mouse cartoon, Steamboat Willie, which had sound for the first time was an instant success. In 1937 he produced Snow White and the Seven Dwarfs which was the first full-length animated film. By 1939 he had opened Walt Disney Studios in Burbank, California and with his staff created cartoon characters such as Minnie Mouse, Donald Duck, Goofy and Pluto. 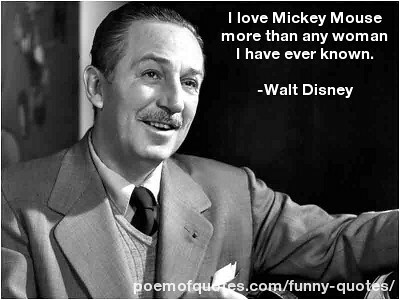 During his lifetime Disney was the winner seven Emmy Awards and 22 Academy Awards. 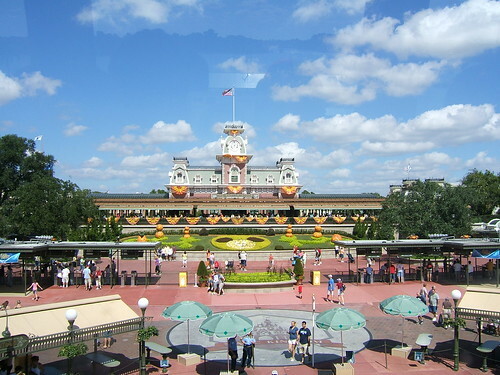 He gave his name to the Disneyland theme parks which are located in the USA, France, Japan and Hong Kong. He died at his home in Burbank, California on December 15th 1966 the age of 65. Walt Disney, pioneer of cartoon films and creator of Disneyland, was born in Chicago, Illinois in the year 1901 On This Day.